This model of CV will allow you to be noticed without eccentricity. 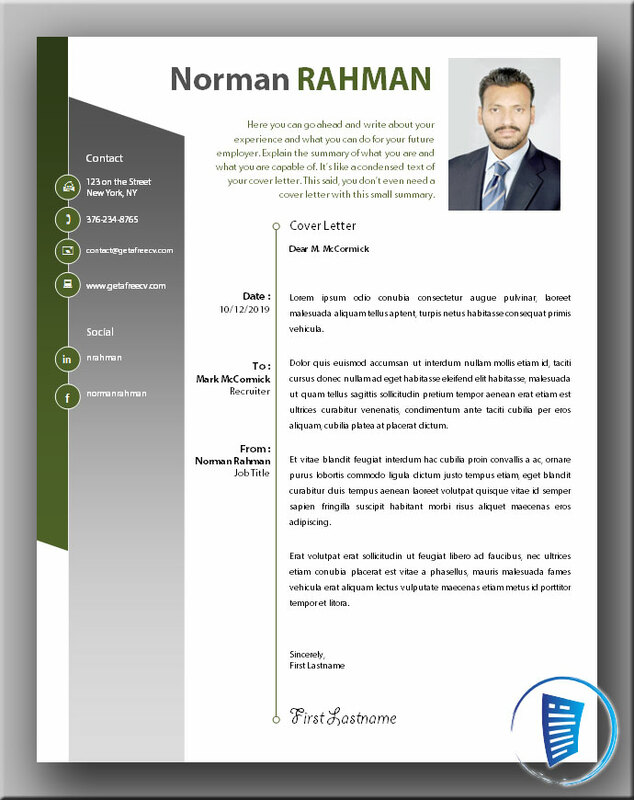 Its presentation in two columns is classic and allows an easy and pleasant reading. On the left, the dark gray and green backgrounds give a modern side and accords perfectly with the bright white which, itself, energizes the whole. The photo, inserted as a portrait cartridge immediately attracts attention. 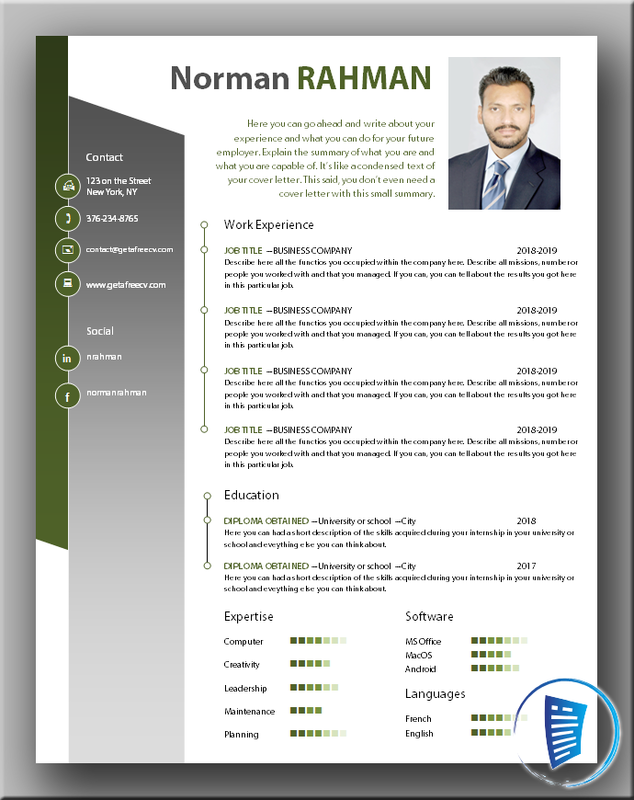 A summary description of the profile will be useful and practical for the recruiter. The levels of languages ​​and expertise are highlighted graphically. On the left, the contact icons will be appreciated for their practical and modern appearance. Below, the experiences and the training are presented in a sober way, communicating on a serious and framed profile. To save the file on your computer, simply click on the download button right next after the following image. 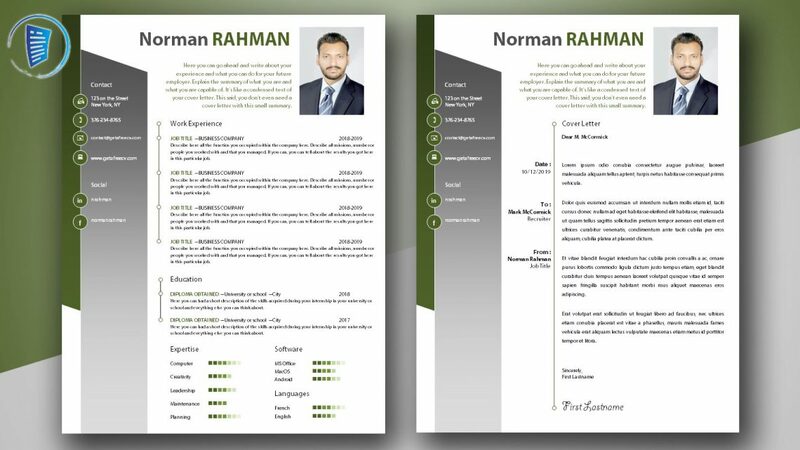 We created a matching cover letter. Get the file simply by clicking on the download button once again. The font used in these templates is Myriad Pro. Get it for free here if you don’t already have it installed on your machine.